The purpose of this page is to give both attorneys and victims a better idea of what they are dealing with when they face State Farm in motor vehicle crash injury claims. While this insurance company will battle to pay you nothing or as little as possible, State Farm is very beatable in car accident claims. You just have to know who State Farm is and what to expect from it to win. 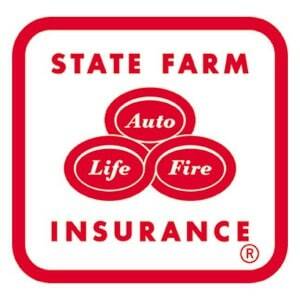 State Farm ranks 44th on the list of Fortune 500 companies and has a tremendous market share in car insurance. The company started insuring cars in 1922, insures more cars and homes than any other insurance company. Today, it has 17,000 agents and 68,000 employees serving more than 78 million auto, fire, life, and health insurance policies in the United States and Canada. In some markets, this insurer has double the market share of the next leading competitor. In Maryland, it is second to GEICO in auto insurance market share, just behind first place GEICO. Our lawyers handle claims against this insurance company throughout Maryland. It is hard to make blanket generalizations on dealing with State Farm for settlement. Certainly, if you are dealing with State Farm Team 21 or State Farm Team 22, the two auto claims units in Maryland that deal with less severe injury cases, you are not very likely to receive a settlement offer that approximates the fair value of the claim. Other traffic accident claims with SF vary more from adjuster to adjuster. Some adjusters are eager to try to settle accident claims for fair value. Others are more difficult and will require a lawsuit to get a reasonable settlement or verdict. The settlement offers of State Farm cases in Maryland almost invariably increase - often more than doubling and tripling - as litigation proceeds. There are some reasons our accident lawyers believe this occurs. We think its in-house lawyers – with exceptions - tend to be more reasonable than its insurance adjusters. First and foremost, that enhanced reasonableness stems in part from having to try the case to a jury, as opposed to just sitting in your office pronouncing the value. Second, values of cases invariably rise because the insurance company realizes that the injury victim is not going to accept the offer just because it avoids a lawsuit. Third, the value of these claims increases as a trial date gets closer because - like every insurance company - SF takes a more critical look at their arguments and the real quality of the claim. It is not uncommon over the course of litigation for an insurance company to stipulate to their driver’s responsibility after denying fault all along. One interesting thing to keep in mind about State Farm claims in Maryland is that the company is making very dramatic changes in the way it is doing business. The adjusters for Maryland claims have long been based in Owings Mills. We do business on 95% of our claims from that office. Our lawyers have visited their offices there and met with many of the adjusters who handle these cases. Reportedly, in 2017, State Farm will close its bodily injury claims offices in Maryland and consolidate into one of its regional hubs. So the adjusters have a choice to either be relocated, switch to handling property damage claims or get another job. Naturally, there are a lot of bitter adjusters in Owings Mills. How this will play out regarding how they handle claims remains to be seen. Trying to predict State Farm's first offer in your case? Here is some statistics that will give you some information. How Does This Insurer Value Injury Claims for Settlement Purposes?We are not afraid of State Farm. In our last trial against them, we won for our client a verdict that was more than 30 times the settlement offer before trial. This is hardly the first time this has happened when we battle this carrier. State Farm, like most insurance companies, uses a computer system called TEACH to assist in placing an amount of money damages on personal injury accident claims. This claims software is similar to Allstate's Colossus claims adjusting software. This program regularly spits out settlement value ranges that are far below the fair value of the claims. (One Maryland State Farm claims adjuster reports after reading this page that no one is Maryland uses this program to determine value.) Interestingly, its adjusters in Maryland are paperless. All records they review are scanned into a computer and read by the adjuster. SF evaluates the injury victim’s medical records, decides how much treatment it thinks was necessary for the accident, and what the fair value of that treatment should be. On top of this, it adds any past or future wage loss and its value on the victim’s pain and suffering. This insurance company – in our opinion – typically undervalues all of these categories. On future lost wages or medical bills, you almost invariably need to file a lawsuit to recover these damages from State Farm. Sometimes, this is just the company's unwillingness to pay fair value on the claim, but it is sometimes a function of common sense: State Farm wants to see the evidence more clearly, which requires the discovery we do after a lawsuit is filed. It is also worth noting that elsewhere on this website, our lawyers have written that insurance companies use, as a value driver in personal injury cases, trial records of the accident lawyers who are bringing the claim. This is true for individual adjusters, but not all. It has no organized system of determining the trial record of individual trial lawyers’ previous claims. State Farm Verdicts Around the Country: recent cases involving quality verdicts against State Farm that are over $200,000. Find out what the common threads are in successful car accident claims against this insurance company. Who Defends Lawsuits Against State Farm? Most State Farm lawsuits in Maryland are defended by two law firms: Law Offices of Timothy S. Smith & Associates in Greenbelt and H. Barritt Peterson, Jr.&Associates in Towson. Both have law firm names indicating that they are private counsel, but all of the lawyers in these firms are the insurance company's employees. The lawyers at these firms are typically good lawyers who are reasonable but are fighting plaintiffs' lawsuits vigorously to defend the company's interests. In larger cases, State Farm will send the case out to lawyers who are not State Farm employees. Historically, these attorneys billed by the hour so you would expect them to do whatever they could to work you to death if you brought a claim. Now, so many of these insurance companies pick its lawyers with an Internet-based bidding system where lawyers will bid on a case, and the insurance company will take the law firm that will do it for the lowest flat fee. This is a good development for victims because these attorneys are far less likely to work the claim and turn over every last stone because they get no additional money for doing so. Is State Farm a Good Defendant? No one would suggest State Farm as a model defendant by any stretch. Certainly, this insurance company is #1 on the list of "most likely to force a case to go to trial" in Maryland. Just take a random look at auto crash trials in Maryland. It seems like over half of them are State Farm against State Farm insureds. But there are three nice things about dealing with this insurer. First, in first party uninsured/underinsured motorist cases, it will write a check for the last settlement offer it makes before trial, which is an incredibly reasonable policy that demonstrates some loyalty to its policyholders. Finally, State Farm runs a pretty efficient shop in these cases, at least in Maryland and the District of Columbia. They will provide you a quick response to your request for a status of your demand package and typically generate a settlement offer faster than most insurance companies. Our primary complaint with State Farm does not offer a fair value settlement to resolve the claim without a lawsuit. State Farm has made a strong and early push to be a paperless office. So they receive correspondence and medical records in Frederick and scan them in for their adjusters in Owings Mills who reviews the documents on their computers. Our firm has handled hundreds of auto accident claims involving State Farm. If you have been hurt in a traffic collision and you are up against this insurer, call our attorneys at 800-553-8082 or click here for a free consultation. Figuring out how much your case is worth. Get similar information for all the major insurance carriers, GEICO, Allstate, USAA, etc.